MedFriendly Medical Blog: How are the electronic cigarette companies helping people to shift from tobacco smoking? How are the electronic cigarette companies helping people to shift from tobacco smoking? Did you know that it was stated by Public Health England in the year 2015 that vaping is at least 95% safer than smoking? This declaration led the entire UK to completely endorse these vaping products as the best and the most effective forms of smoking cessation aids. It was later on added that although vaping is not 100% safe and free of risk but if considered as an option against tobacco cigarettes, they’re certainly much safer. Moreover, the e-cigarette companies are promoting e-cigs as smoking cessation tools and people are being asked to take to vaping in order to be able to quit smoking. While you can vape e-liquids or e-juices, you can also find CBD oil and vape pens from Vsavi from the wide array of collections that they have. Keeping in mind the fact that CBD oil doesn’t produce the ‘high’ feeling which is usually common with THC which is also found in cannabis plants, it is common that CBD is also now being accepted as a vaping element. What does a successful ex-smoker has to say about quitting tobacco? The first thing that you have to focus on while quitting smoking is to use the vaporizer in the right way. When you take a single puff on your cigarette, this will contain higher level of nicotine as compared to an e-cig and hence you have to determine the total number of puffs which you require taking in order to inhale the right level of nicotine. If you fail to get that required amount, the ex-smokers will continue to crave for the stimulant and this can soon make them reach out for a cigarette. 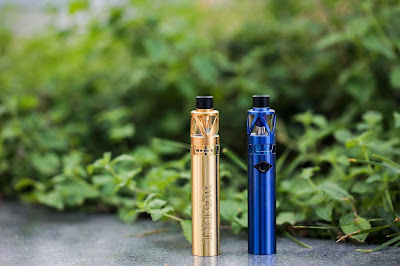 There are various types of vaporizers and the best ones for stopping smoking are the ones where you are allowed to adjust the level of nicotine that you inhale. This will let you minimize the amount of nicotine over time. Experts always suggest that at the first, you should rather keep it simple instead of experimenting with several flavours and other fancy devices for vaping. Remember that the familiar and simpler it feels, the effortless the transition will be. Despite all this that you came to know about the benefits of vaping over smoking, no-one is suggesting that you should take to vaping e-cigs for a long term. Once an ex-smoker weans off of nicotine, he/she should begin to work on putting aside the vaping devices to take proper care of his/her health. So, if you’re someone who is trying to quit smoking with the help of vaping, you can take into account the above listed ways of weaning yourself away from the habit of smoking.